Mariuca's Perfume Gallery: Blog Birthday Soon! MPG's birthday is coming up next month YAY! Last year, as a birthday gift for my blog, I got her a blog makeover from LJ followed by her own domain name and new address. I still say it was the best birthday gift I could have gotten for my blog. Now that it's almost a year since I moved MPG to her own domain, I must remember to renew my domain address before the deadline, which also falls in November. With so many things on my mind right now, I've been quite forgetful lately so I hope this post will remind me to renew my domain on time. I'm still using free web hosting for my blog but I am always open to the possibility of paid hosting if and when the time arrives for me to make that switch. If you're considering paid hosting for your blog, why not drop by Web Hosting Choice? I daresay it's the best web hosting site that also serves as a free research guide to help users like you and me select the perfect web host for your personal blog or business website. It's easy to navigate around the site and all the information are neatly arranged for your ease of use. The site lists down the Top 10 Web Hosting Sites available; rated on affordability, reliability, uptime and technical support. Each site also comes with a detailed review to help you make the most appropriate choice that suit your individual needs when it comes to web hosting. Currently justhost.com is rated number 1 so you might want to start there. Meanwhile, I am going to start planning my blog birthday party, starting with a contest perhaps? Stay tuned to join me and my friends in celebrating MPG's third birthday bash! Sure la must have contest for blog besday woo hoo!!! Can use or not LJ???????? I have to renew mid Nov like dat. For both blogs…I wan discount of coz, abaden!!!! Yay thanks Mon! Actually WOAFS first, then MPG’s birthday oh no… did I miss WOAFS besday??? Forgot edi! ohh i think u missed WOAFS besday eh..
Hahahhaha eh no la….. I didn forget PHEW!!! WOAFS is early Nov, MPG is mid-Nov hohohoho! 2 birthdays in a month woo hoo! Double birthday oh no, sure busy blogging month then he he…. When is TUO’s besday again ah? Passed edi recently right? Welcome Bem, ur link is up in my FCSB, yay! yeah passed edi hehe..two mths ago! Yeah lor nothing to eat but magee, fast to cook, good to eat lol..curry flava! Anyways, a contest sounds so exciting!! :) :) Can't wait to see what's up for grabs!! LOL! My grubby fingers are getting greedy! LMAO! Hmmm, something smells so nice in here, must be the perfume....!! Recent blog:=- A NOT SO BLUE MONDAY. yeah, congrats. One year old already right? October is a month of giving and sharing. Hope you get your party :) Congratulations for you blog. Keep the good work sist. 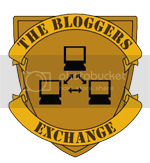 Hey there Another blogger, thanks so much for commenting and welcome to MPG! October is over, and November will be over soon too Rizal…next is Christmas! Yay thank you Rizal! Hip hip Huuuuurrrahhhhhh! He he tamak haloba Shemah he he.,.. I hope I spelled WHOLE correctly! Hugs Jean! Hope ul get back to blogging soon sweetie, miss u la! You are always in my heart sweetie, big hugs! Raya was okay Jean… now looking forward to my end-year vakasi, if jadi la! Yay, check it out Kim, u might find something u like!